While she�ll probably never catch up to Meryl Streep�s stunning record of 19 Oscar nominations, Cate Blanchett has made a good showing for herself. With 2015�s Carol, she earned her sixth Oscar nod � and co-star Rooney Mara pulled down her second. Adapted from a novel by Patricia Highsmith, Carol takes us to New York circa 1952. 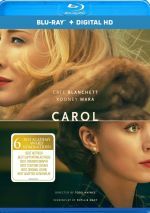 Therese Belivet (Mara) works as a clerk at a Manhattan department store when she meets married older woman Carol Aird (Blanchett). Though both live heterosexual lives, they find themselves attracted to each other and launch a romantic relationship. Obviously, this doesn�t sit well with the men in their lives. Alreadt estranged, Carol�s husband Harge (Kyle Chandler) takes it especially hard, and when the pair go through divorce proceedings, he uses her lesbian relationship to argue that Carol shouldn�t care for their daughter Rindy (Kk Heim). We follow the Therese/Carol relationship and its ramifications. As a character piece, Carol relies more heavily on its cast than many films would, and that becomes a strength. As noted, both Mara and Blanchett earned Oscar nominations for their work here, and I think both deserved those nods. They get roles who could easily be clich�s and add life to them. Mara proves the stronger of the two, if just because Blanchett�s reliability makes her quality performance �expected�. Blanchett occasionally seems less than stellar � I wasn�t wild about her in Truth, for instance � but she�s usually money in the bank, and that proves accurate here. She even pulls off her American accent better than usual. Mara�s always been good in her roles, but she boasts less of a track record, so I don�t count on her the same way I do Blanchett. Mara also gets the more thankless part of the two, largely because Therese is simply not an especially interesting personality. Sure, she comes with the greater journey; while Carol has enjoyed romantic situations with women in the past, this is clearly new to Therese, so Mara has more of an arc. Despite that, the movie leaves Therese without a whole lot of obvious substance. She can feel a bit like a cipher, but Mara manages to plaster over the screenplay�s deficits. She makes Therese believable and human, as she allows the character to change and grow in a natural manner. No one will mistake Carol for an especially dynamic narrative, but I appreciate its relative lack of theatrics. Given the subject matter and various story points, the film easily could play matters for melodrama. It doesn�t, as Carol keeps things relentlessly understated. This might frustrate a little at times, as the story occasionally seems to stall; it moves so slowly that the viewer may wonder if it�ll ever go anywhere. But it does, and Carol follows that path in a low-key manner that suits it. For the most part, Carol avoids extremes, and that extends to its characters. Sure, one could easily view Harge as the �villain�, but I think that interpretation goes too far. While he motivates most of Carol�s stress, the film allows us to see the situations from his � and his culture�s � point of view. Harge clearly loves Carol and he feels frustrated that he can�t give her what she needs. While some vindictiveness enters his attempts to separate Carol from Rindy, we can also see that he would think it�s the best for the child given her mother�s �morality issues�. Of course, none of this would manifest in a movie set in 2016, but Carol shouldn�t reflect modern attitudes. If the film depicted male characters or a society that readily accepted Carol and Therese�s relationship, that�d be completely untrue and fantasy. The movie makes social mores clear but doesn�t beat us over the head with them. These factors allow Carol to become a rich, involving character drama. It avoids cheap theatrics, and buoyed by strong acting, it delivers an engaging experience. Carol appears in an aspect ratio of approximately 1.85:1 on this Blu-ray Disc. Though the image could be erratic, I suspect its potential deficiencies related to the source. Some softness cropped up, and that was one of the �issues� that more likely stemmed from stylistic choices. Shot on Super 16, a certain lack of definition became inevitable. In any case, most of the movie offered good delineation, with only occasional soft spots. I saw no jagged edges or haloes, but a few minor moments of shimmering occurred. Print flaws remained absent. When Carol�s credits opted for orange and teal, I knew the film would come with a less than ambitious palette. That remained the case, as the film tended toward clich� colors, though it seemed more pea green than teal most of the time. Blacks were reasonably dense, and low-light shots offered pretty good delineation. Nothing here excelled, but I think it represented the source. On the other hand, the film�s DTS-HD MA 5.1 soundtrack seemed more ambitious than expected � within the confines of a quiet character drama, that is. While the soundscape didn�t excite, it opened up matters in a more involving than anticipated manner. This led to good stereo music and a nice sense for various settings like restaurants, streets and stores. These all delivered a moderately vivid sense of place. Audio quality worked well. Speech sounded concise and distinctive, without edginess or other issues. Music was full and lush, while effects appeared accurate and natural. No one will use this as demo material, but it fared better than I figured it would. In the disc�s extras, we find an Interview Gallery. 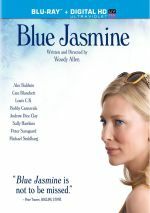 This provides segments that examine actors Cate Blanchett (4:01) and Rooney Mara (4:39), director Todd Haynes (4:45), screenwriter Phyllis Nagy (4:58), cinematographer Edward Lachman (4:56), costume designer Sandy Powell (3:42), production designer Judy Becker (4:03) and composer Carter Burwell (4:53). They involve comments from Haynes, Mara, Blanchett, Lachman, Nagy, Burwell, Powell, Becker, producer Christine Vachon, and actors Kyle Chandler and Sarah Paulson. Across these, we hear about story, characters and screenplay, cast and performances, editing, cinematography, music, and costumes/period elements. Going into the �Gallery�, I assumed each section would simply offer interviews with one subject, but instead, they provide more general featurettes. The Blanchett, Mara and Haynes segments tend to be superficial and fluffy, but the others manage pretty good substance. Those allow us to learn a fair amount about the participants and their work. A compilation of Q&A Highlights fill a total of 29 minutes, 25 seconds. They break down to sessions with Mara and Nagy (5:16), Blanchett, Mara and Haynes (10:38), Haynes, Mara, Blanchett and actor Jake Lacy (4:59), and Nagy, Lachman, Becker, Burwell and editor Affonso Goncalves (8:31). Topics covered include story/characters, cast and performances, how participants came to the project, research/influences, locations/production design, editing, music and cinematography. Some sections work better than others, but all together, they provide a lot of interesting information. The disc opens with ads for Macbeth (2015), Southpaw and Burnt. No trailer for Carol appears here. As a love story, Carol provides an intriguing affair, one that uses the homosexual nature of the relationship as background more than anything else. I appreciate that, as it allows the story to feel more personal and less like a political statement. The Blu-ray offers generally good picture and audio along with a few informative supplements. Carol provides an interesting and understated experience.